Size: 16.5x50 inches excluding the fringe. 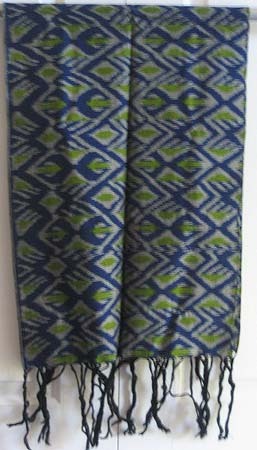 Reverse side is identical in color, woven. Weight is the same as quilting cotton.